Small business taxes. Does the thought of them just make you cringe? If you’re feeling overwhelmed by your small business taxes, we don’t blame you—there’s a lot that goes into preparing your business accounting for Tax Day. And if this your first time filing your small business taxes, you probably have a lot of questions about how you go about it. If you don’t even know where to start, we’re here to help. Here’s your step-by-step guide to everything you need to know about small business taxes. Small business taxes might seem like one big, ugly beast that you don’t know how to tackle. So when you’re preparing for your tax season, where do you even begin? When it really comes down to it, those three tax basics depend on your business’s legal structure. Are you a sole proprietor? A corporation? Or maybe an LLC? Whatever your business entity is, you’ll first need to know how it affects your tax burden. A sole proprietorship is a business that’s owned and operated by one individual—that’s you. Because the owner of a sole proprietorship is flying solo, filing taxes under this business structure is relatively simple. If you run a sole proprietorship, you’re generally required to file an annual return and pay quarterly estimated taxes. Estimated tax is the method that all businesses use to pay Social Security and Medicare taxes along with income tax. If you were an employee, you wouldn’t worry about this—your employer would withhold these taxes for you. But as a sole proprietor, you are the one responsible for making quarterly payments with the estimated tax method. To figure what you’ll pay in self-employment taxes—and if you have to pay quarterly—use Form 1040-ES, Estimated Tax for Individuals. After that, sole proprietors need to pay their annual tax return with a Schedule C or a Schedule C-EZ. Use these documents to report your income and loss from a business you’re operating as a sole proprietor. Partnerships are, well… partnerships. They’re businesses operated by two or more owners. Most partnerships are known as general partnerships, but there can also be limited partnerships or limited liability partnerships. If you operate a partnership, you’ll have to file an “annual information return” to show the income, deductions, gains, and losses from the business’s operations—but the business itself doesn’t pay any income tax. Partnerships enjoy what’s called “pass-through taxation,” meaning the income is taxed on the owners of the business instead of being subject to corporate tax rates. To file taxes, owners who are included in the partnership have to file their respective share of the business’s income and losses on their personal tax returns. Here’s the main takeaway: partnerships have to file an annual return of income, employment taxes, and excise taxes. Business owners who are a part of the partnership must also pay income taxes, self-employment taxes, and estimated tax. You’ll need to gather all these forms to file your taxes, so make sure to check out the IRS’s guide to partnership taxes. If your small business is structured as a corporation, your business is legally separate from you as the owner. There are two types of corporations—S corporations and C corporations—but both structures have just about the same tax burden. Corporations are subject to what’s called a “double tax.” Simply put, double taxation occurs when the corporation’s profits are taxed, and the shareholders—you and your partners—are taxed when profits get distributed as dividends. Both C corporations and S corporations should be prepared to be liable for an income tax, an estimated tax, employment taxes (Social Security and Medicare taxes), and excise taxes. To find each form you’ll need to fill out for each of these taxes, check out the IRS’s list of required tax forms for corporations. A limited liability company, or LLC, is a business entity that keeps the owners legally separate from the company’s debts or liabilities. As the owner of an LLC, you’ll have the liability protection of a corporation with the tax benefits of a sole proprietorship or partnership. If you operate an LLC, you’ll be subject to pass-through taxation, just as you would be as a partnership. In other words, you won’t be taxed twice like corporations are. Instead, as an owner of an LLC, you’ll make quarterly tax payments on your personal income tax forms. On top of that, you’ll also have to submit Form 1065 each year just for informational purposes. What do these small business entities have in common when it comes to small business taxes? They all have to pay quarterly estimated taxes if the business owes taxes of $1,000 or more. (Corporations only have to pay quarterly estimated taxes if they expect to owe $500 or more in tax for the year). Before you owned a business, filing taxes was a one-time thing. But as a small business owner, you’ll have to pay the IRS four times per year—meaning you’ll have four more tax deadlines to worry about: April, June, September, and January. On one hand, that’s four more tax deadlines you might miss. But on the bright side, by the time your yearly tax deadline comes around, you’ll have already paid three-quarters of your tax return. So, how much do you have to pay in quarterly estimated small business taxes? To calculate your quarterly payment, estimate your expected adjusted gross income, taxable income, deductions, and tax credits for the year. The best way to gauge these is just looking at your taxes from the previous year as a guide. Once you’ve put a number on these figures, you’ll just have to calculate how much you’ll owe in your estimated quarterly small business taxes. The easiest way to do this is to use the IRS’s Estimated Tax Worksheet. The process of filing your small business taxes is so much easier if you take time to prepare all your small business’s financial documents and records before tax season rolls around. The reason is simple: if you’re scrambling to get everything together a few days before the business tax deadline, you’re setting yourself up for disaster. So, the time to start preparing for next year’s business taxes is right now. When you sit down to file your small business taxes, make sure you have these financial documents on hand. If you keep hold of all these receipts and documents, you’ll have a much more accurate income and expense statement when it comes time to file your small business tax returns. Another reason to keep all those documents of your business’s expenses together? You can deduct your small business’s expenses to save money on your taxes—we’re talking hundreds or thousands of dollars for your small business each year. Depending on how your business is legally structured, you’re allowed to deduct “ordinary and necessary” expenses that your business incurs by just operating. If you can prove that the deduction is relevant, you can deduct it from your taxable income. Deducting your expenses means that you’re lowering your income—and lowering the amount you owe in taxes. The list of small business tax deductions goes on and on. Not all will be relevant to your business, but it’s worth getting familiar with them all so you can save as much money as possible on your small business taxes. There are some tax deductions that no business owner should miss on their small business tax deductions. These are the deductions that apply to almost all small businesses. And if you don’t take advantage of them, you’re just simply overpaying your taxes each year. Most small business owners use a car, van, or truck for their company. And if you can prove that you use the vehicle for business purposes, then you can deduct the cost of operating the vehicle. There are two ways to deduct your vehicle expenses on your small business taxes: standard mileage rate and actual car expenses. With the standard mileage rate method, you’ll deduct the cost of operating your vehicle based on the amount you drive it—about 57.5 cents per mile in 2015. If you go the actual car expenses route, you’ll deduct the cost of your vehicle by all the costs you incur from operating it: gas, oil, repairs, auto insurance, and so on. Whichever deduction method you choose to use, make sure it’s the one that saves you the most money on your small business taxes. Most small business owners will protect their company with at least one form of business insurance. If you pay for your business owner’s policy, health insurance, malpractice insurance, and so on, you can deduct 100% of those premiums on your small business taxes. If you rent the space you do business in, you can deduct your rent payments on your small business taxes. And that’s not just for office spaces or storefronts—you can also deduct your rent payments for the equipment and machinery you use. If it’s just you or a few others running your business, you might operate out of your home. If you rent your home and use it as part of your business space, you can deduct the rent you pay for that portion of your house, too! A home office deduction is one tax deduction that your small business definitely shouldn’t miss. Those rent payments can be pricey, and you can save a lot on your small business taxes if you take the time to deduct them. In the long list of small business tax deductions, you might stumble across some that you didn’t know existed. Here are a few that you might have overlooked, but should absolutely take advantage of when filing your small business taxes. If you’re just opening the doors of your small business, you know how expensive starting up can be. There are lots of startup costs you’ll need to cover to get going. But you can actually deduct all of these related costs on your tax returns. Any business-related startup and organizational costs are considered capital expenditures by the IRS. Startup and organizational costs are pretty broadly defined by the IRS. They’re essentially any amounts paid or incurred when you start a business. That could even be the costs of researching the business before you start. You can choose to deduct up to $5,000 of business startup costs and up to $5,000 of organizational costs. In most cases, inventory isn’t considered a tax-deductible expense—maybe that’s why you’ve overlooked them on your small business taxes. But if your business uses the cash method of accounting and chooses to treat inventory items as materials and supplies, you can deduct those expenses on your taxes. If you’re in a service-based industry, you can probably deduct the cost of your inventory. For instance, if you operate a beauty salon that offers hair cuts and sells shampoo and conditioner, you’re probably eligible for a tax deduction. If you have a small business loan, a business credit card, or a mortgage, you’ll make interest payments on what you’re borrowing from the lender. This might come as a surprise, but those interest payments are deductible on your small business taxes. No one likes paying interest on what they borrow, but those payments are a little easier to swallow if you know you can deduct them on your taxes. Those six small business tax deductions are just a few examples of all the different deductions you can take advantage of on your small business taxes. Research your tax deductions thoroughly and take the time to weed through the ones that you can take advantage of—and the ones that you can’t. If you interpret the tax code wrong and take deductions that you shouldn’t, you’re just opening the door for a business audit. 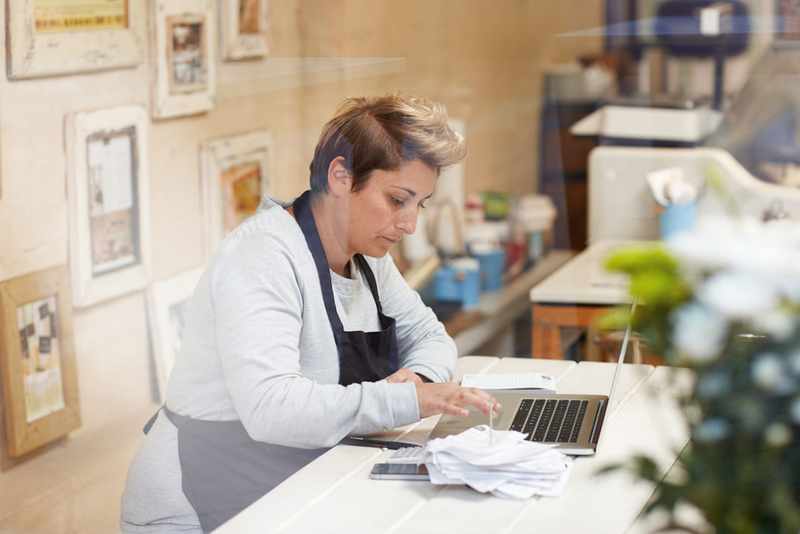 With some time, effort, and patience, any small business owner can navigate the process of filing small business taxes on their own. But as a small business owner, you’re juggling a lot of things at once. And you might not want to sacrifice any of your precious time managing your business for being your business’s accountant. If you don’t have the time to do your small business taxes right, you should absolutely consider hiring an accountant to help you out. You know that you need a business accountant for help on your small business taxes… But where can you find one? There are a few ways to find a small business accountant, and you’ll need to take some time to find a good one. You might be tempted to just Google “small business accountant” and go with any ads that come up. You can find business accountants online, but we’d advise you against it. If you hire a great business accountant, they can do more for you than just file your small business taxes. The right business accountant can be a trusted financial advisor throughout the life of your business. So instead of just going with the first business accountant you find online, you should start with referrals. 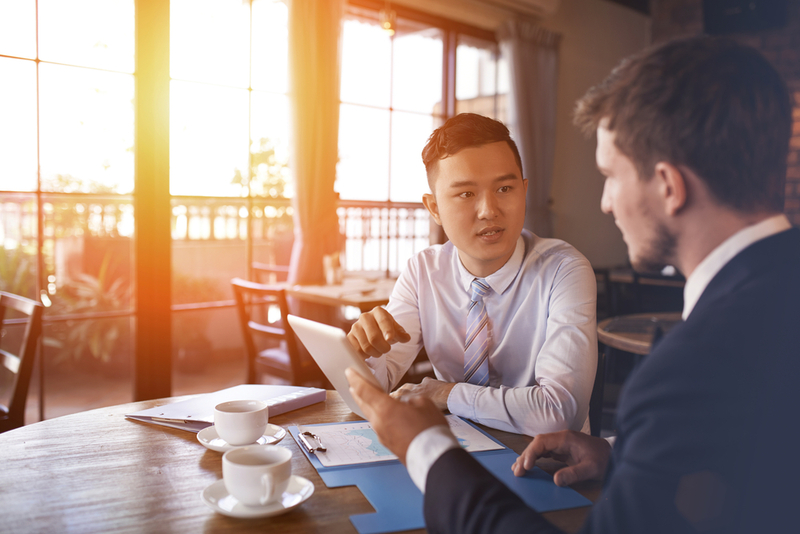 Ask a business advisor, lawyer, or banker for recommendations, or tap into a small business association to find a trusted business accountant. You could also get referrals by attending small business events hosted by your local Chamber of Commerce or Small Business Development Center. Some business accountants have gone through a qualification process to become a Certified Public Accountant (CPA). If you work with a CPA, you can be sure that your accountant has been pre-screened and is well-trained and experienced. They have to take a test to qualify and periodically renew their certification—so you can be confident that they’ll be up-to-date with all accounting methods and best practices. To find a CPA, go straight to the American Institute of Certified Public Accountants (AICPA). You can take advantage of the AICPA’s directory of CPAs, accounting companies, and local accounting organizations to find a great accountant for your business. In the best cases, a business accountant does more than just file your small business taxes. They’ll have a hold over how your business operates and manages its money, so a great business accountant can give valuable advice and guidance for managing your business’s financials. So when you’ve found a few good business accountants to consider, take the time to figure out which one will be the best match for your business. What’s your experience working in my industry? Have you worked with a similar business entity before? What are your services beyond small business taxes? While not a comprehensive list of questions, ask these first to get a sense of whether the accountant will be a good match for your business. Maybe you have a little accounting experience under your belt or you just can’t justify paying someone to do your small business taxes for you. If you choose to tackle your small business taxes on your own, consider using an accounting app to make the process much easier. One accounting program to consider? You’ve probably heard of it before—QuickBooks. QuickBooks is simple, powerful, and everybody uses it. First and foremost, QuickBooks can help you with your small business tax accounting. But it can also help you with payroll, inventory management, profit and loss analysis, and so on. QuickBooks has many different editions that can meet any level of accounting need—you’ll just have to pay for varying levels of service. Sage is another accounting software to check out. Sage will help you know your cash flow, and track your income, expenses, and invoices. If you want to file your small business taxes on your own, you don’t have to be totally alone. There are many small business accounting apps that you can use to stay organized, prepare your financials, and make tax season a breeze! 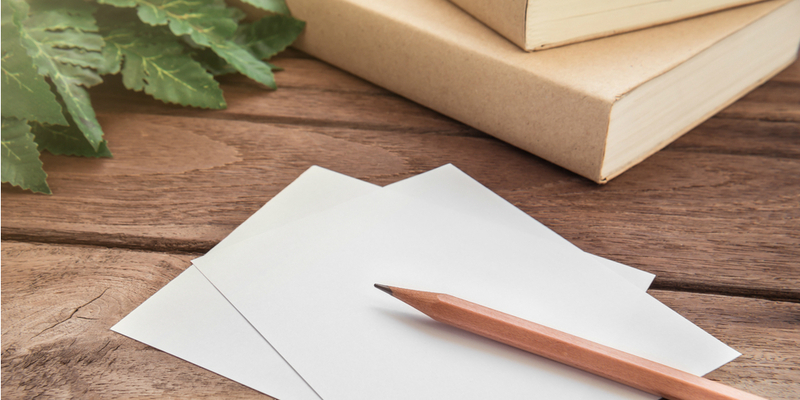 So there you have it—the essentials of preparing for and filing your small business taxes. 1. Stay organized throughout the year. 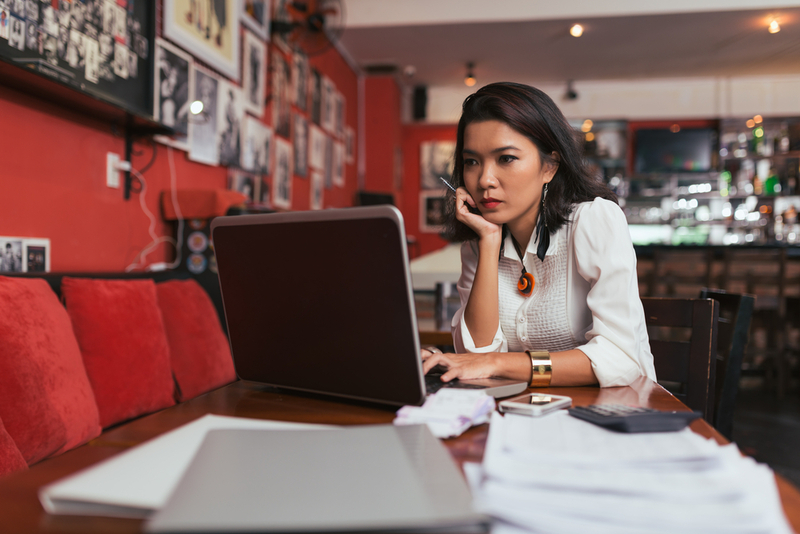 Small business taxes might only be on your mind a few weeks leading up to deadlines, but preparing and organizing them should really be a priority all the time. If you take steps to prepare before tax season, you’ll save yourself a lot of headache when you actually need to file your small business taxes. Make sure that all of your records are current and accurate, and keep everything you might need in the future. And if there’s any doubt that you might need some documents during tax season, just keep them. The more information you have prepared, the better. 2. Don’t let tax deadlines sneak up on you. If you don’t pay your taxes on time, you’ll be charged fees that only get worse and worse as you get further away from tax deadlines. The best time to start preparing your small business taxes is now, but as a good rule of thumb, you should start working on them at least two weeks before the deadline. If you don’t have time to do your small business taxes properly, hiring a business accountant to step in is well worth the cost. Because if you don’t invest enough time in filing your taxes and you make mistakes, it’ll cost you in the long run. An accountant can also give you the best tips on how to maximize your tax return. Also, if the deadline is approaching and you just can’t get your taxes done in time, the IRS might give you a filing extension. Use Form 7004 if you need to request an extension to file your small business taxes. Small business taxes might seem like a daunting, scary task, but you’ve got this! Now that you know everything about small business taxes, all you need to do is stay organized and be prepared for when tax season rolls around.